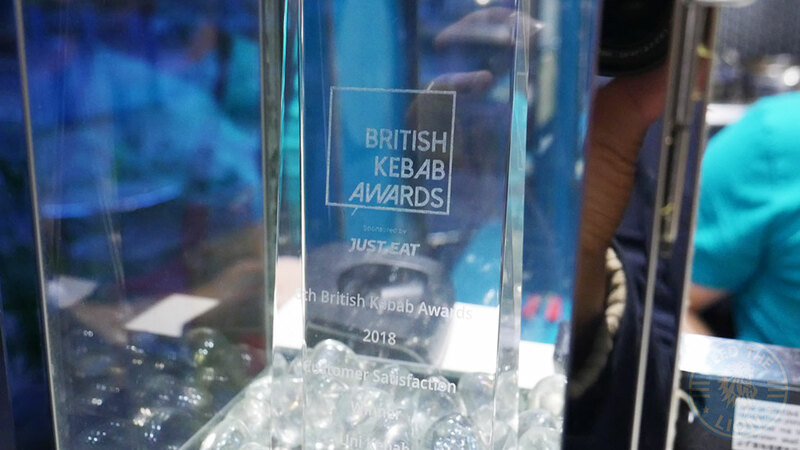 Ever since we learned of Uni Kebab’s triumph at last year’s 6th annual British Kebab Awards, we’ve had them firmly in our sights. 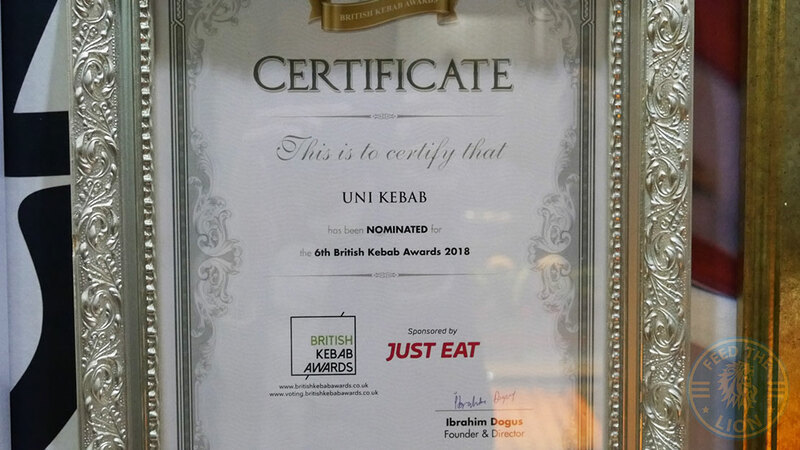 Was this yet another nominee among the quota required to be met by yet another awards ceremony, or was the hype and praise we’ve encountered over the years, mostly from students down the road at Southampton University, justified? 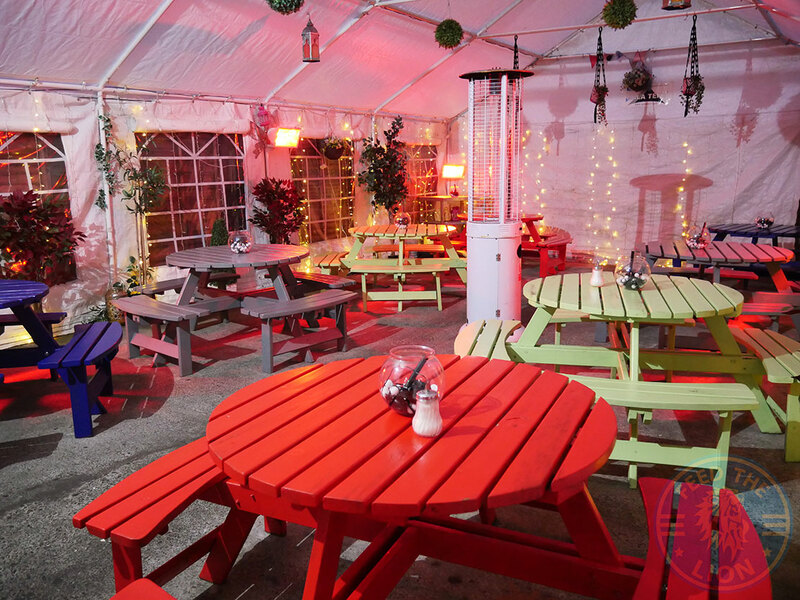 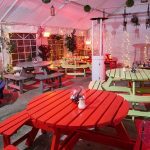 The 110-cover restaurant certainly makes maximum use of its limited space, with seating available for 15 outside and an additional 60 in the large open garden seating area at the back. 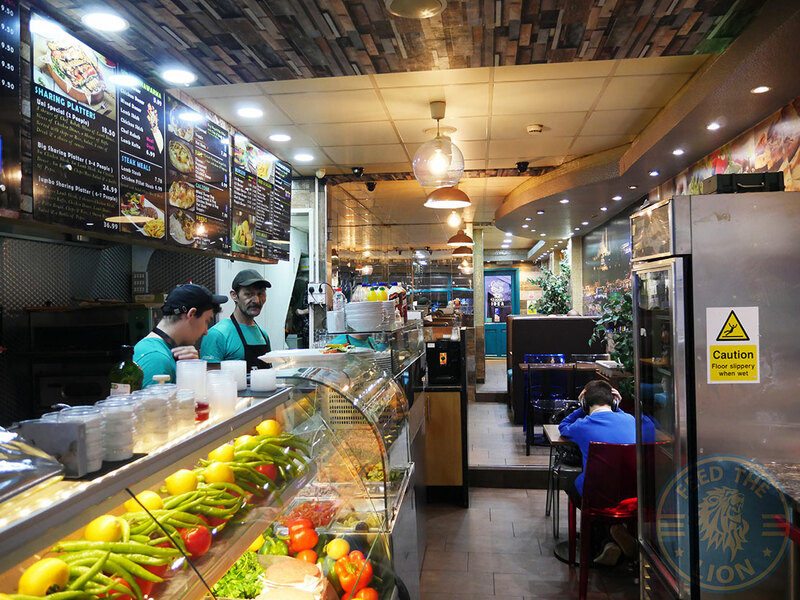 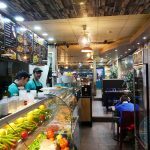 Cooking everything fresh to order in our open style kitchen in front of our customers so they can see they are getting a fresh quality Kebab. 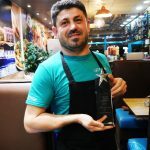 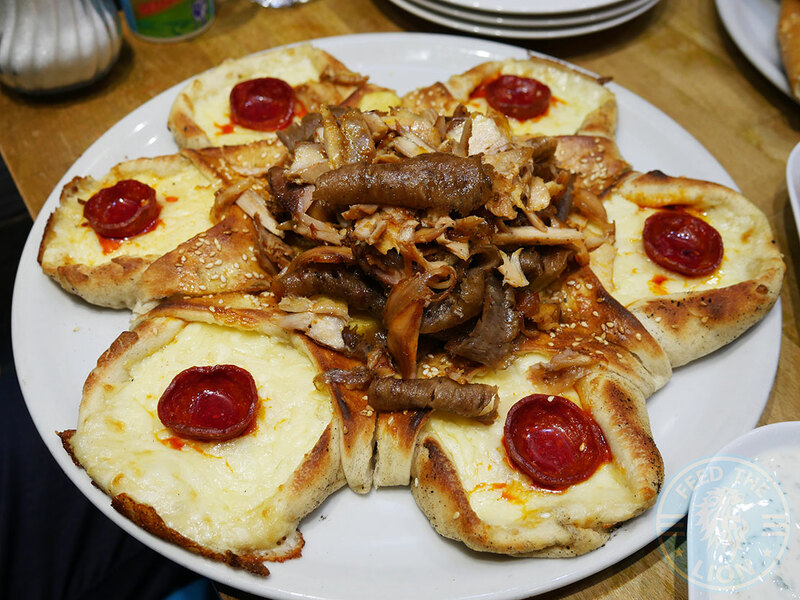 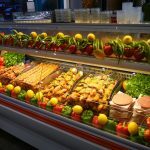 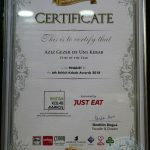 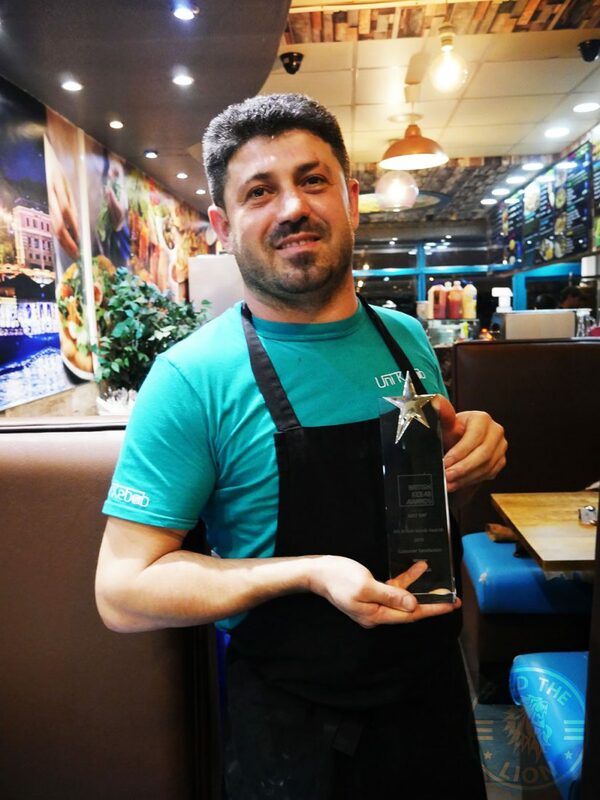 The fully Halal Turkish menu has been created by owner and head chef Aziz, who is said to have “19 years of experience in the Kebab industry” and was also nominated for “Chef of the Year”. 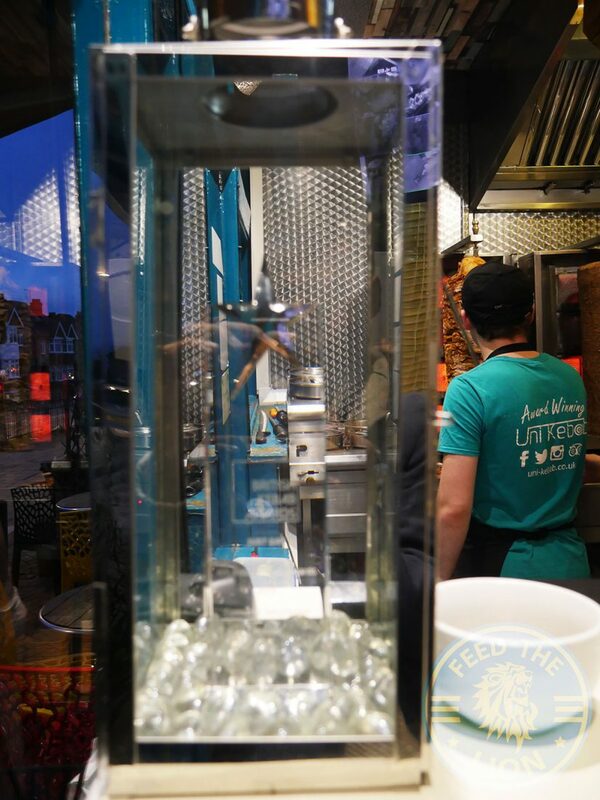 More importantly, they also make their own bread fresh on site, which is worth noting. 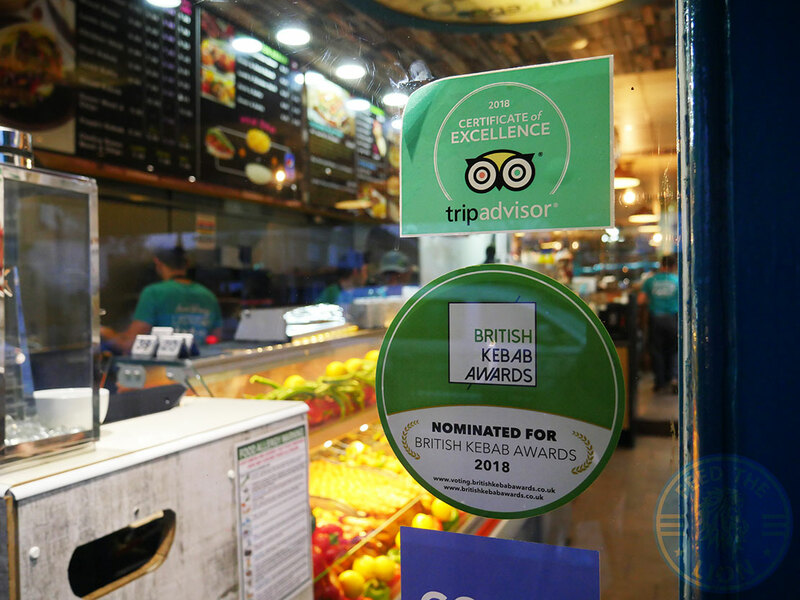 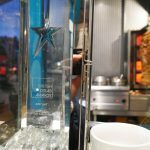 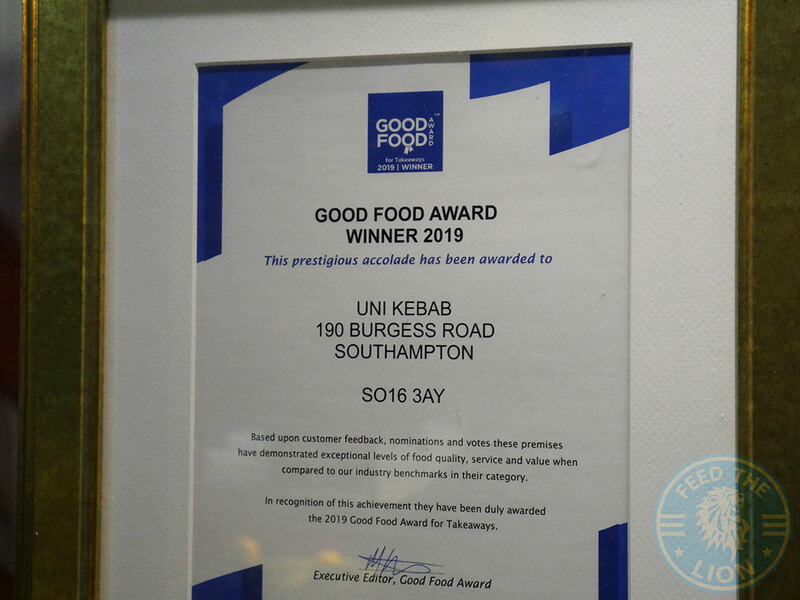 In addition to the forementioned award, this long serving kebab house, which opened eight years ago, has also been named one of the best three Turkish restaurants in Southampton on Three Best Rated, while achieving Trip Advisors’ Certificate of Excellence 4 years on the trot. 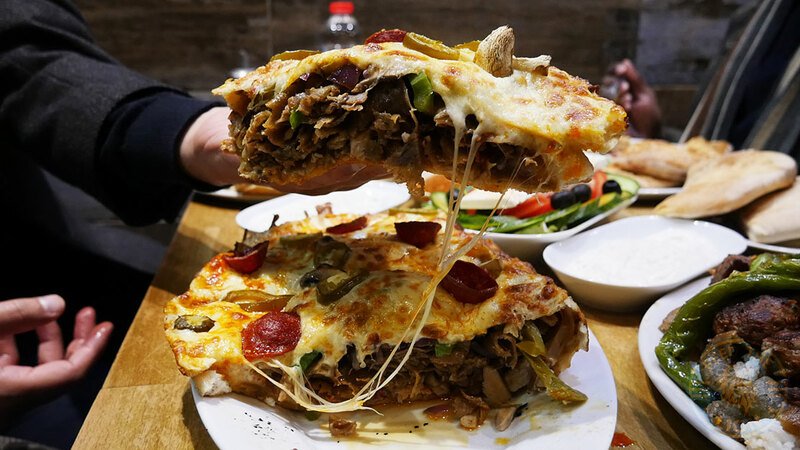 When you have a plump and pregnant package, with plenty of glistening golden grilled cheese and thin slithers of jalapenos and pepperoni, placed before you, it ought to excite. 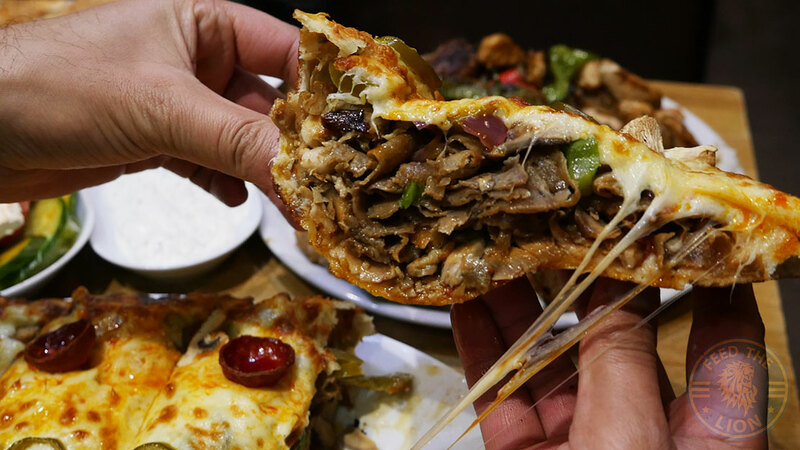 And that excitement was only confirmed as we pulled away one slice filled to the brim with juicy layers of lamb doner and green peppers. 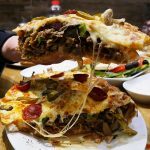 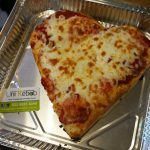 It’s a large, tasty and satisfying meal that’s easily worth every penny (especially if you’re a lover of meat and cheese and plenty of it). 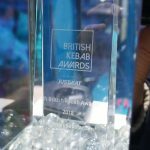 An interesting one this. 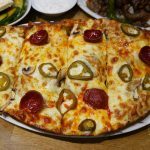 The Twisters here represented by ring-shaped pides, that have a lovely crispy encasing filled with cheese and topped with a single slice of peppery pepperoni. 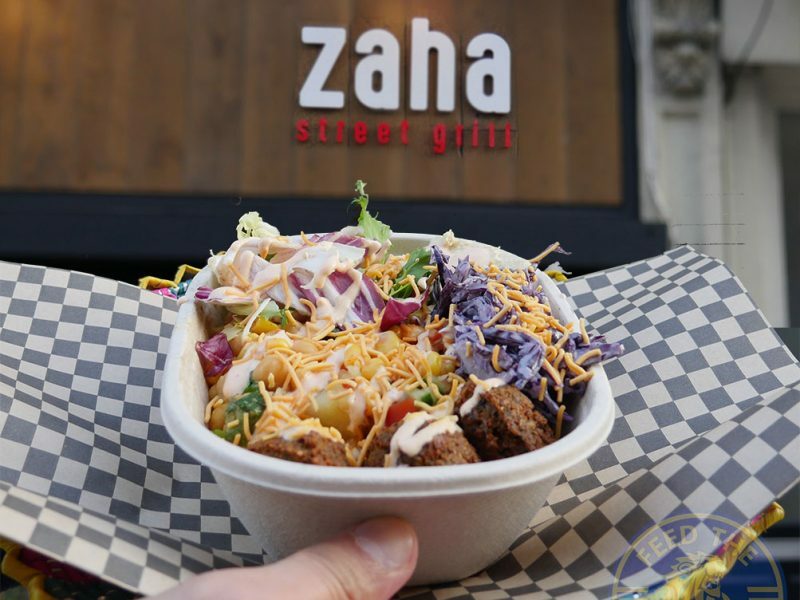 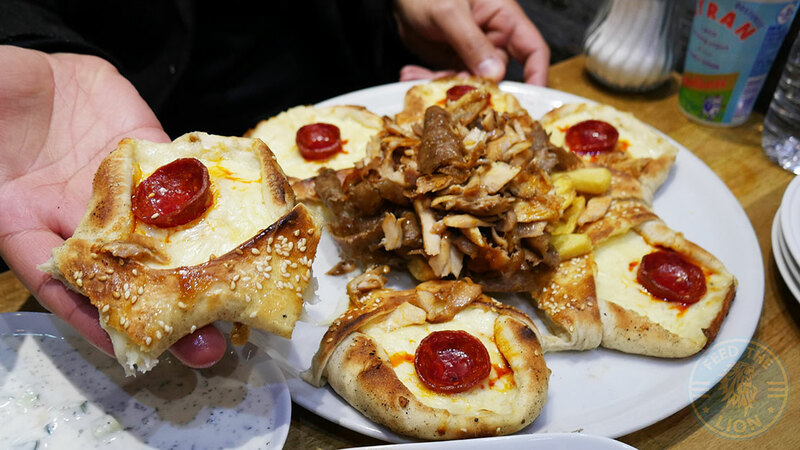 In the middle of the plate, there’s a mixture of lamb and chicken doner resting atop chips. 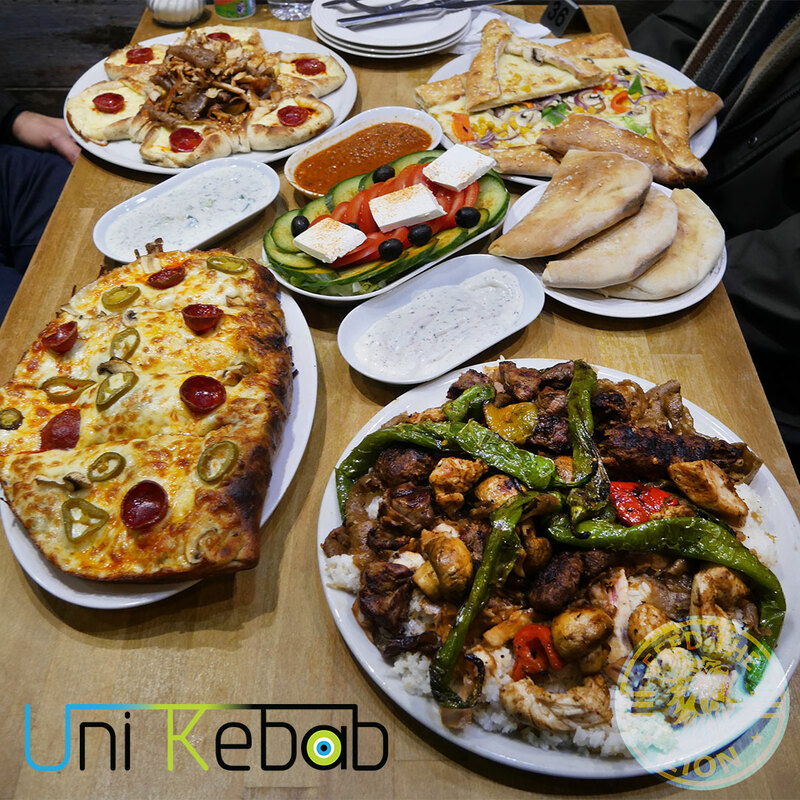 All in all, quite a tasty meal; though we’d opt for the one above at the same price if you’re feeling hungry. 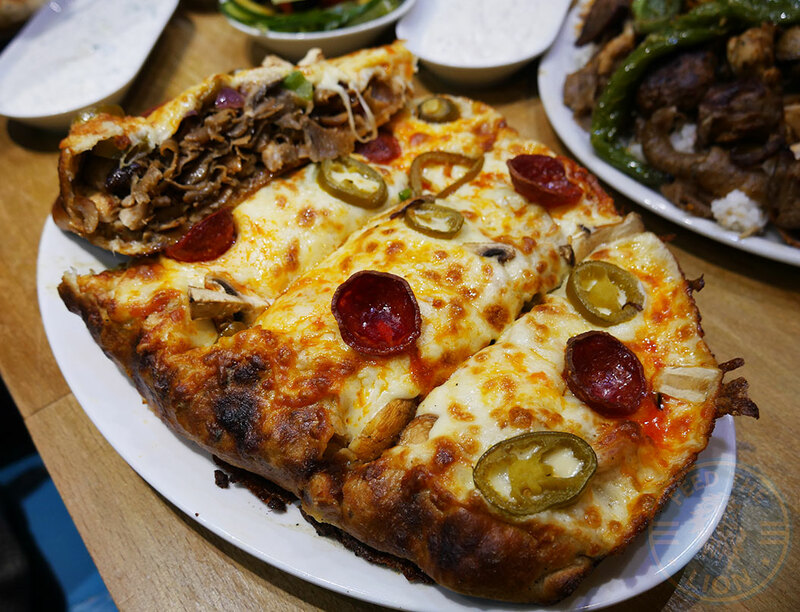 What gives this pide the edge over some others we’ve had, is the freshness of the bread, the generous height of the delicate crispy perimeter that’s been sprinkled with plenty of toasted sesame seeds. 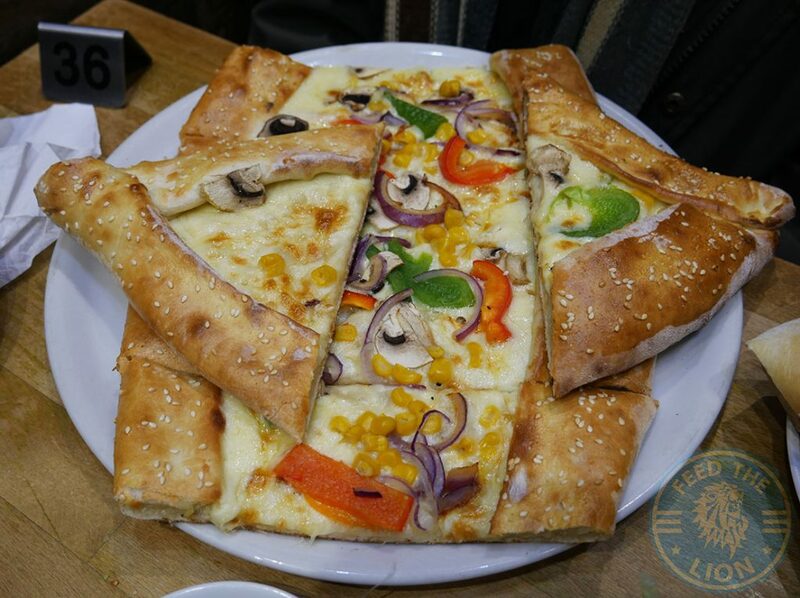 The cheese, again, is plentiful, with enough vegetables to make this another delicious meal. 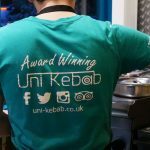 A Uni Special indeed! 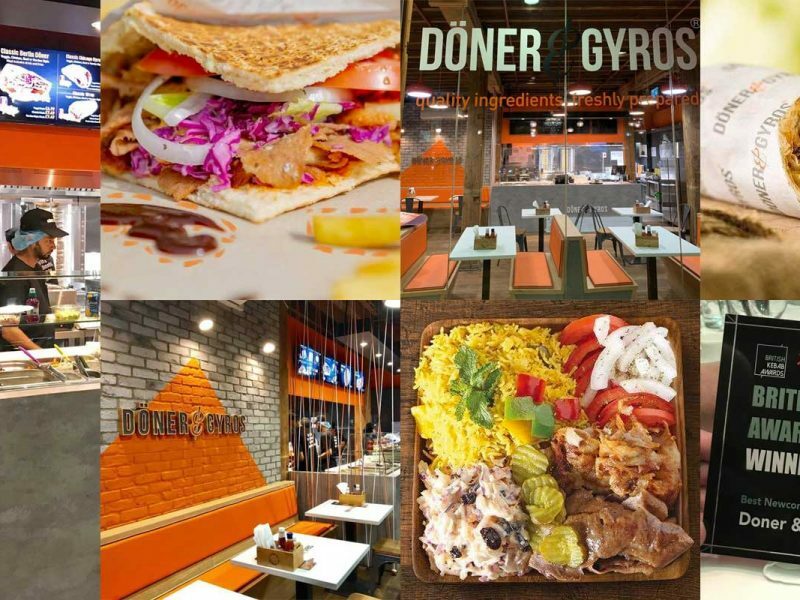 With an assortment of beautifully cooked meats bumped up with plenty of doner, which itself is pretty good, we can understand why this has been called the Uni Special and why Uni-goers will probably find this quite special. 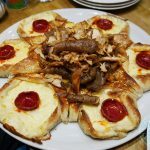 For £18.50, there’s just enough here to keep any hungry learner going throughout the day: perfectly seasoned selection of meats that were succulent with some really good charring, along with grilled salad and some large tender mushrooms too. 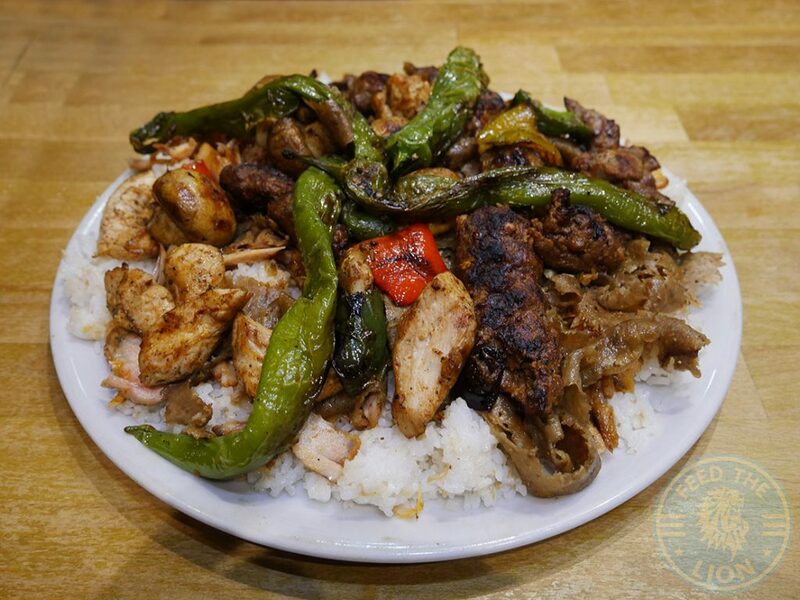 Our only criticism would be the rice, which turned out a little too sticky for our liking. 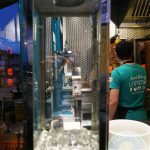 Besides, who wants rice when you have the chips! 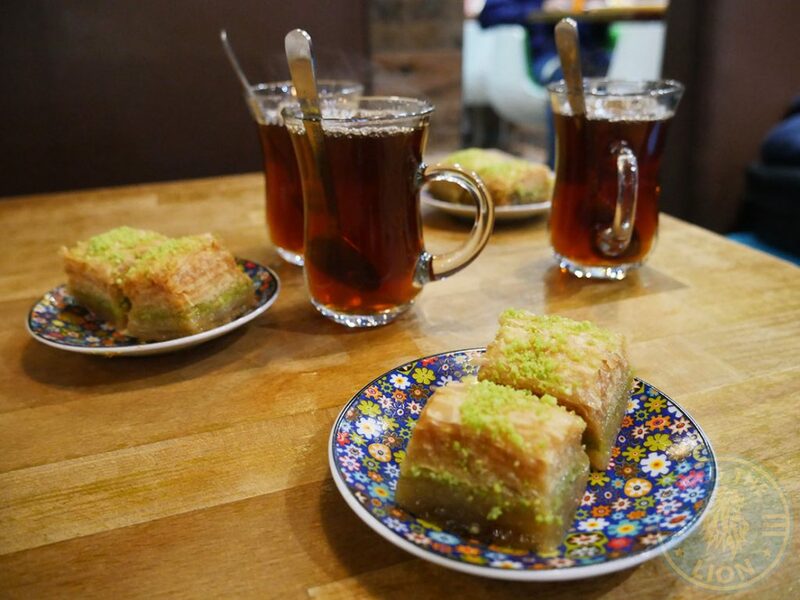 Now, we were handed a plate of Baklava and some tea at the end of the meal on the house, which otherwise cost £1.00 per portion. 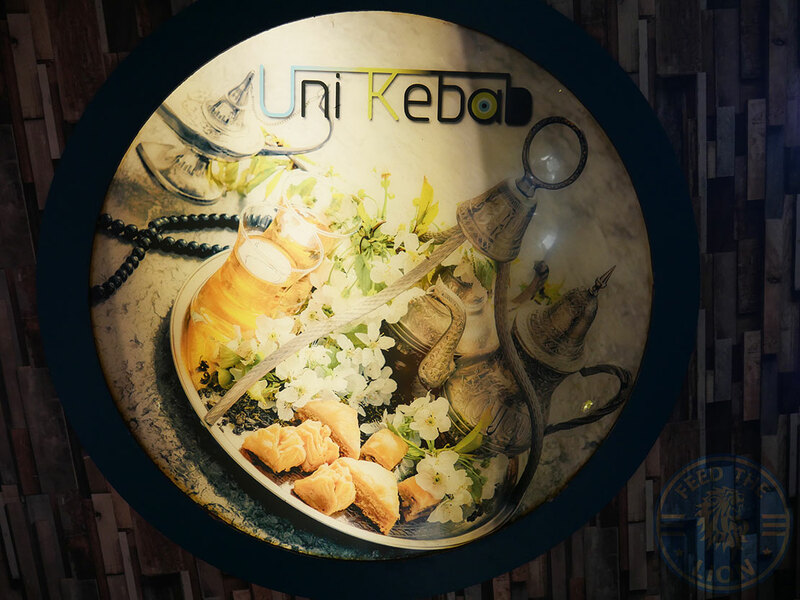 Apparently, Uni Kebab provide tea and baklava complimentary for all dine-in customers! 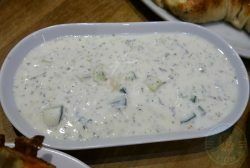 How many do that? 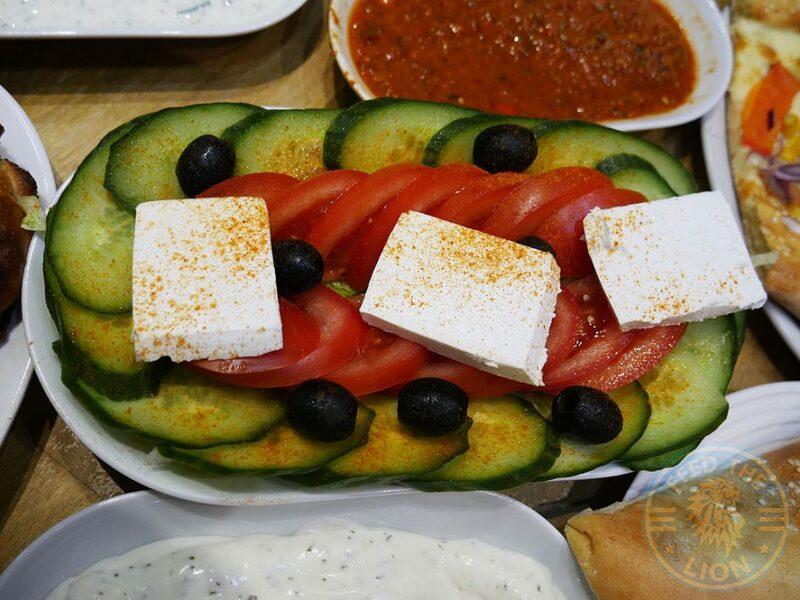 A pleasant plate of freshly cut cucumber, tomatoes, olives and thick, creamy feta cheese. 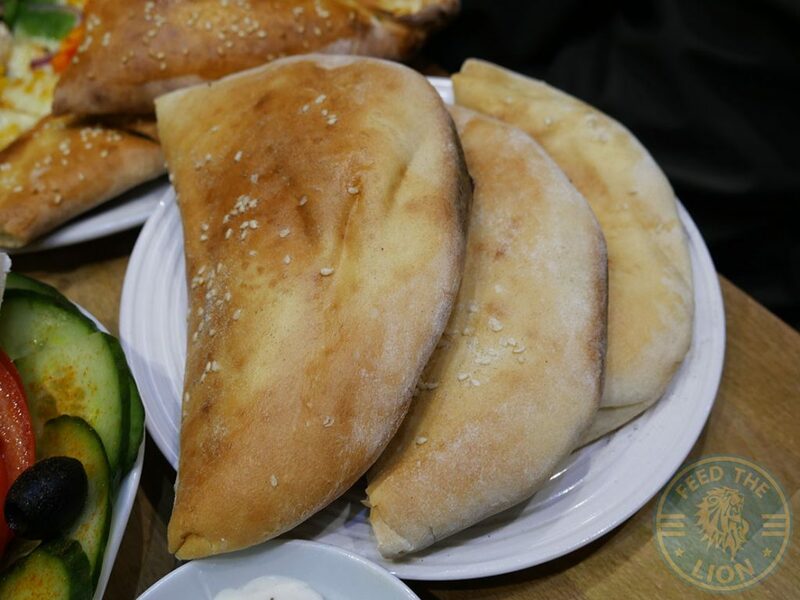 Freshly baked and beautifully puffed up, what’s not to like with pita bread that turns out nice and hot and sprinkled in sesame seeds. 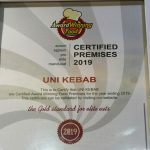 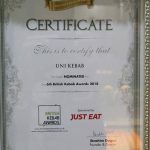 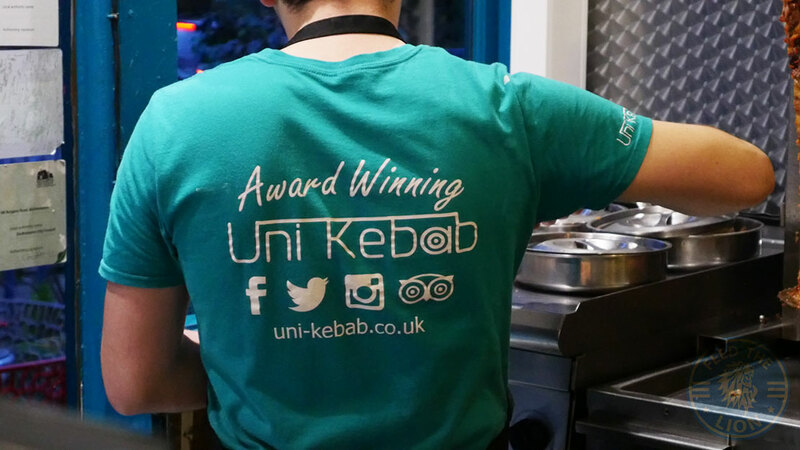 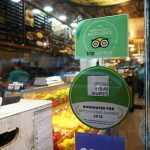 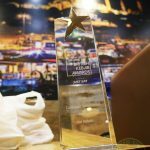 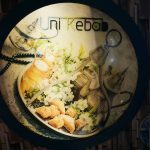 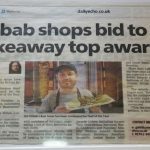 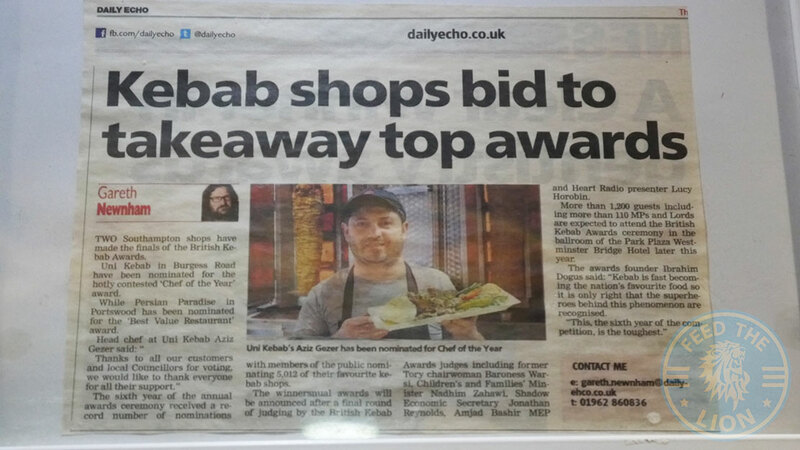 The awards and hype surrounding Uni Kebab is most assuredly justified! 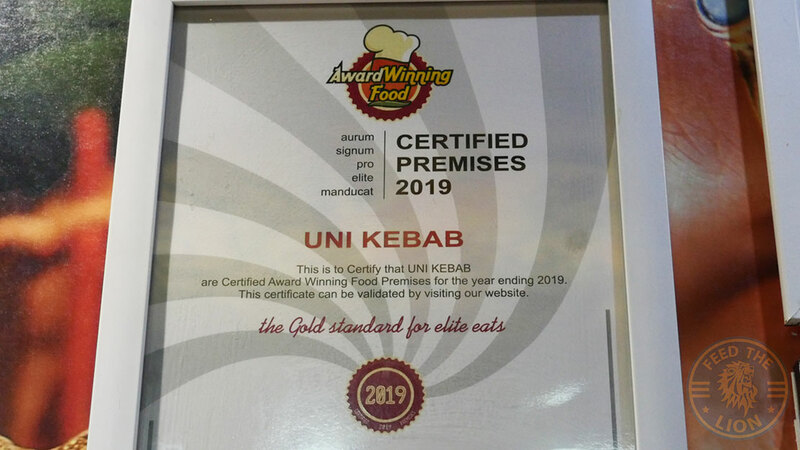 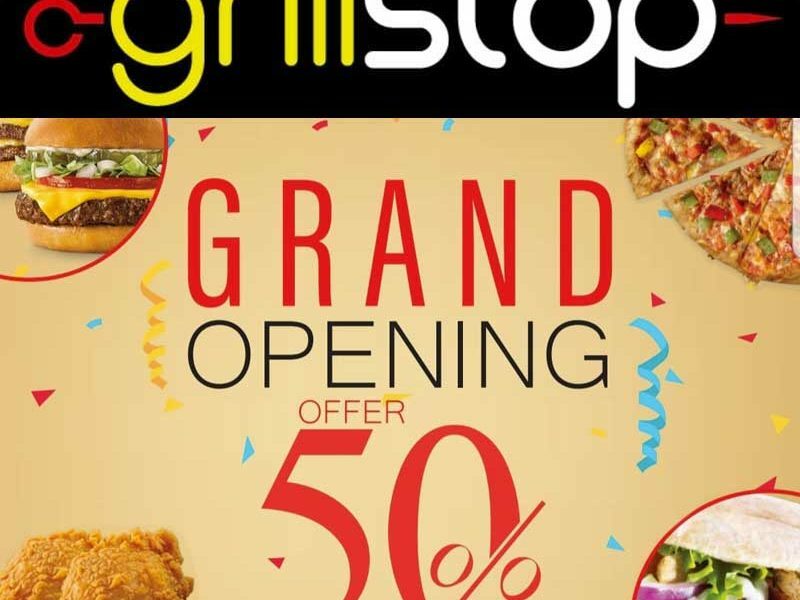 If only we had an affordable, quality kebab house near our respective institutes of learning; would have made our home away from home far more exciting. 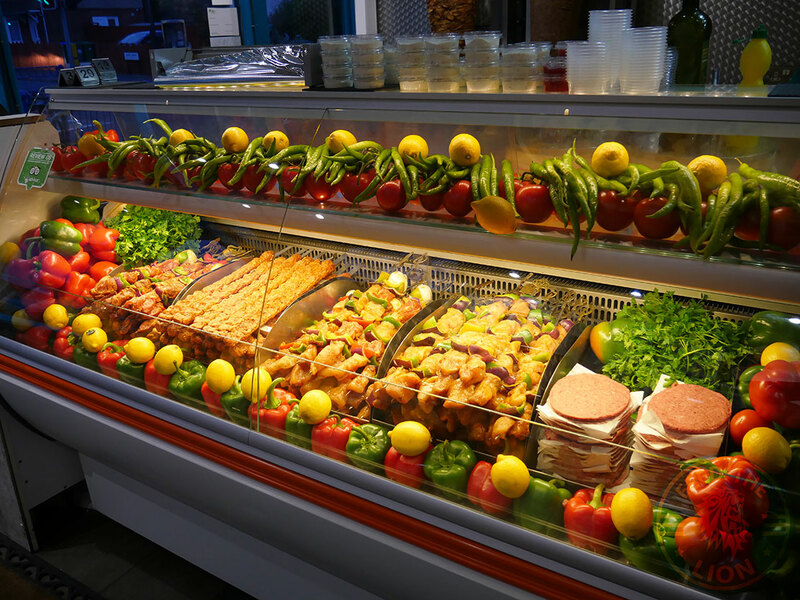 The meats are extremely well cooked by a team of chefs who know what they're doing. 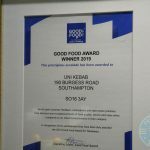 Add to that the hospitality, and you have an exceptional restaurant that's fully Halal that's definitely worth a visit if you're in Southampton. 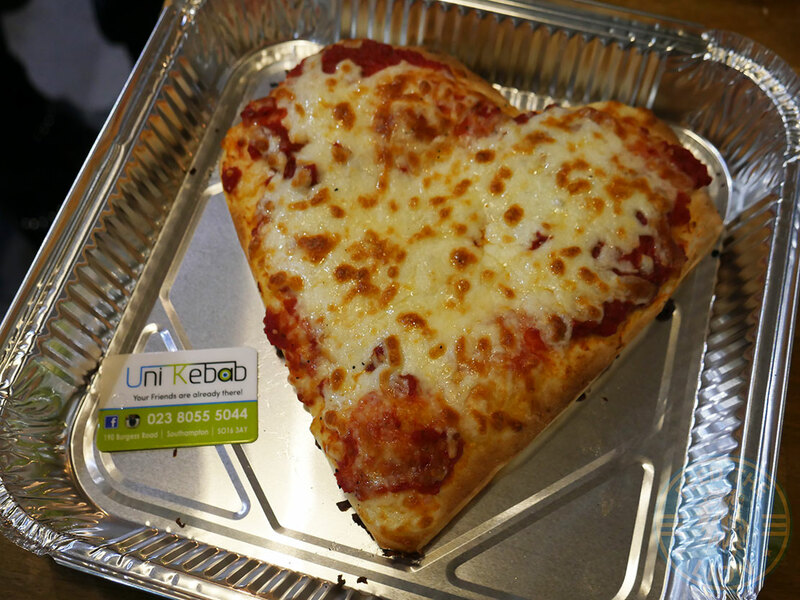 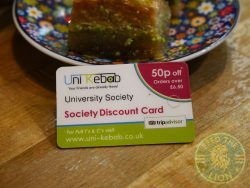 While Uni Kebab's University Discount Card offers 50p off meals over £6.50, we've been informed that a delivery service is also somewhere in the pipelines. 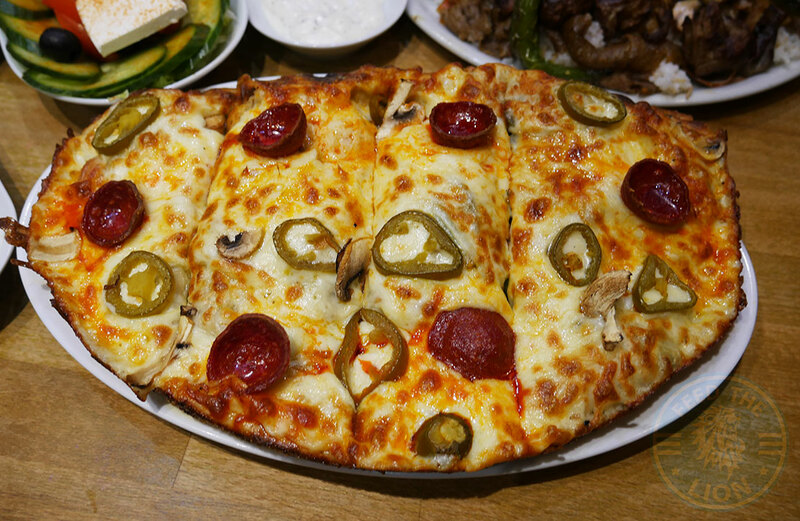 Currently, it's either collection or dine in only. 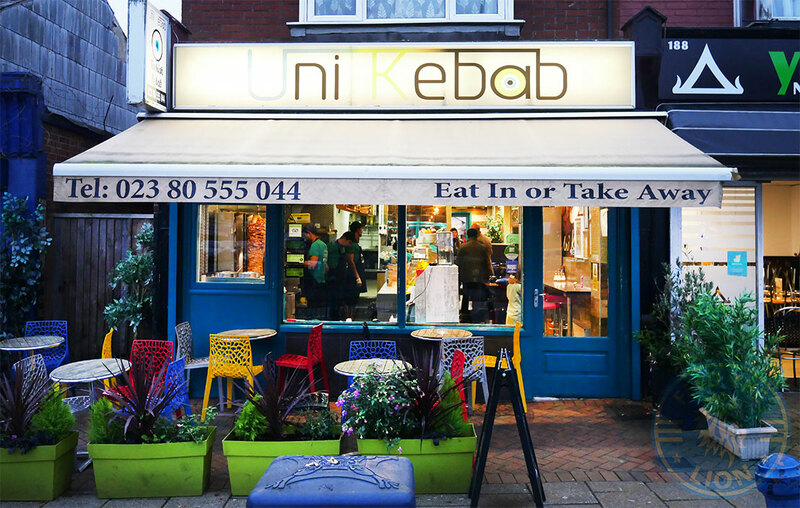 190 Burgess Road, Southampton, Hampshire SO16 3AY.